A Bones And Raw Food diet can be a key factor in restoring your pooch to his/her naturally healthy dog state. Unfortunately, too many of my clients only discover a Bones And Raw Food diet after a health issue occurs with their dearest pet and friend. The wisdom holds true even for dogs — you are what you eat. Simply by reconsidering what you feed your dog can improve his/her physical health, mental well being and prevent future disease. A life of eating commercial, grain filled pet food can cause a host of health problems including those listed below and more serious issues such as hip dysplaysia and arthritis, bladder stones, kidney failure, heart problems and low energy. If you are considering switching your dog from commercial food to a raw food diet, then try Doggie Diner's Bones and Raw Food diet. We're confident that a switch to our raw food will bring positive transformations to your pup. 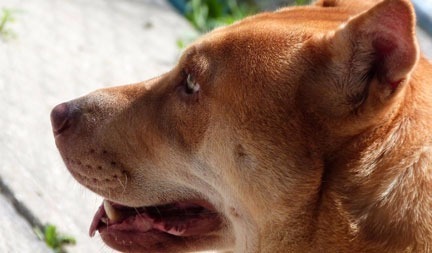 The bone marrow included in this diet naturally cleans a dog's teeth. Bone marrow is not found in most commercial dog foods. The bone and raw food diet also does not have any sugars, preservatives or fillers (sawdust, peanut shells, etc.) often used in commercial foods that can cause tooth decay. There is no fat in our Bones And Raw Food diet and no processed fillers. Being all natural and fresh, your dog's body will make use of the food instead of storing the indigestible matter as fat. Overweight dogs will naturally lose weight. Underweight animals will need to increase their intake slightly due to to the lack of processed ingredients and the will begin to put on good solid ounces. Most skin and shedding problems arise from yeast found in commercial dog foods. A raw dog food diet will enhance a dog's skin and coat and often bring shedding issues under control.